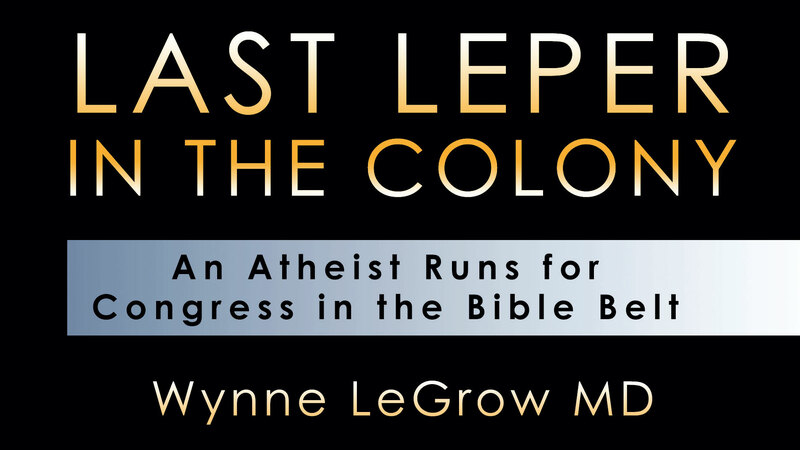 Wynne LeGrow MD, a self-proclaimed atheist, tells the sometimes humorous, sometimes serious story of his attempt to unseat Republican Congressman Randy Forbes, the founder and chairman of the Congressional Prayer Caucus. 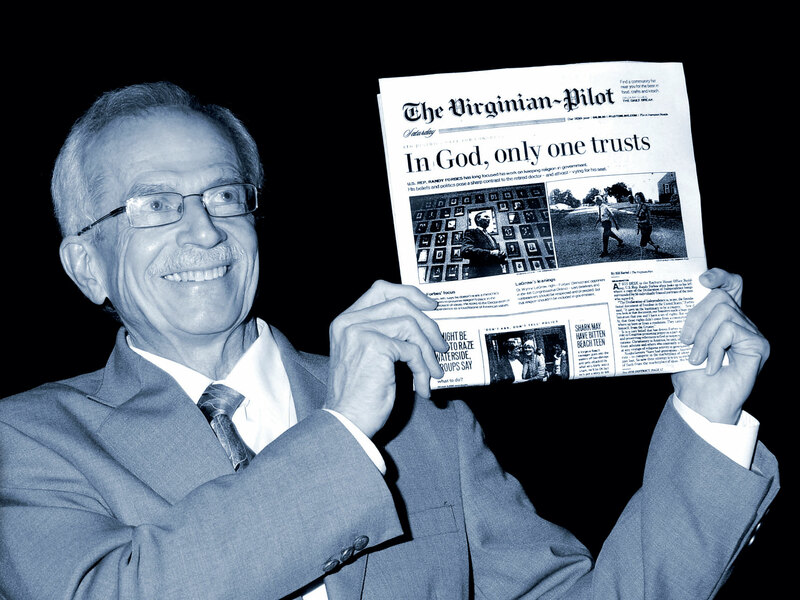 Running as an atheist in a southern Virginia district may not be an easy task, but it is certainly a memorable one. In Last Leper in the Colony, Dr. LeGrow describes how his concern for the wellbeing of the planet leads him to run for congress against incumbent Republican Forbes. LeGrow knows he faces an uphill battle - but that doesn't stop him from fighting the good fight and standing up for his convictions. Author Wynne LeGrow is the son of a Protestant minister father and schoolteacher mother. 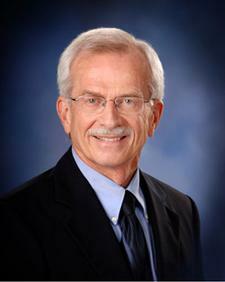 He graduated from The Ohio State University College of Medicine and then trained in internal medicine and nephrology. He served in the U.S. Army for two years where he was promoted to the rank of major. LeGrow practiced medicine in Emporia, Virginia, for 29 years before running for Congress in 2010. There is no way to tell a believer from a nonbeliever by the way he or she acts. No amount of dishonesty, malfeasance, antisocial behavior, racial or homophobic prejudice, misappropriation of funds, substance abuse, sexual indiscretion or perversion disqualifies one from being considered a true believer. The one transgression that cannot be forgiven in that of thinking for oneself and coming to an unacceptable conclusion concerning the existence of a deity. Wynne V. E. LeGrow is a native of Québec, Canada, where he was born on May 8, 1945, V-E Day. He moved to Vermont at age one with his parents and older brother Kent. His father was a Protestant minister and his mother was a schoolteacher. The family moved about every 4 years, living in two towns in Vermont and two in Ohio before he graduated from Wauseon High School in Ohio in 1963. Wynne graduated from Ohio State with a degree in zoology in 1967 and The Ohio State University College of Medicine in 1972. From there he went to the University of Missouri where he completed his internship and residency in Internal Medicine from 1972 to 1975. From 1975 to 1977 he served as an Army physician at Fort Rucker Alabama and was promoted to the rank of major. Following that he completed a nephrology fellowship at the University of Connecticut Health Center from 1977 to 1979. Dr. LeGrow moved with his wife, son Vincent and stepsons Drew and Eric Willison to Emporia Virginia in 1979 where he started a practice in Internal Medicine and Nephrology. In 1990, he started his own dialysis unit and has subsequently built two medical office buildings, each of which served as a dialysis center. Dr. LeGrow practiced both primary care internal medicine and nephrology in Emporia from 1979 until 2008 serving as chief of staff in the local hospital on two occasions. He was in a solo practice for almost 20 of the 29 years, being on call continuously for all of his patients during those years. Although always interested in politics, he became quite concerned about the course our country was taking during the presidency of George W. Bush. The unnecessary war in Iraq, the lack of concern over global climate change or scientific knowledge in general and the rising national debt caused him to consider running for office for the first time in his life. He ran for Congress as a Democrat in 2010 and chose to be up front about his lack of religious belief while running against Congressman Randy Forbes, the founder and chairman of the Congressional Prayer Caucus. Dr. LeGrow's wife Marilyn is a nurse. Son Vincent is a video editor in Los Angeles. Stepdaughter Victoria graduated from VCU medical school in 2014 and is presently doing an internal medicine residency at Johns Hopkins University. Stepson Drew Willison served as Sergeant at Arms of the U.S. Senate and is now chief of staff for Sen. Harry Reid. Stepson Eric Willison is an attorney in Columbus, Ohio.